Some of you may remember when this was a more active site, with new posts at least once a day. I’d write about the Newark Bears games, visiting different ballparks, adding new items to my baseball card and autograph collection, or my thoughts on the New York Mets. The Bears are long gone…collecting has slowed due to life changes and changing interests. Trips to the ballpark have also slowed — again due to life changes — and I’m finding less motivation to write about them. I visited one ballpark I’d never been to last year: Oriole Park at Camden Yards. I think I shared a few photos on Facebook, but I never got around to writing about that trip here. 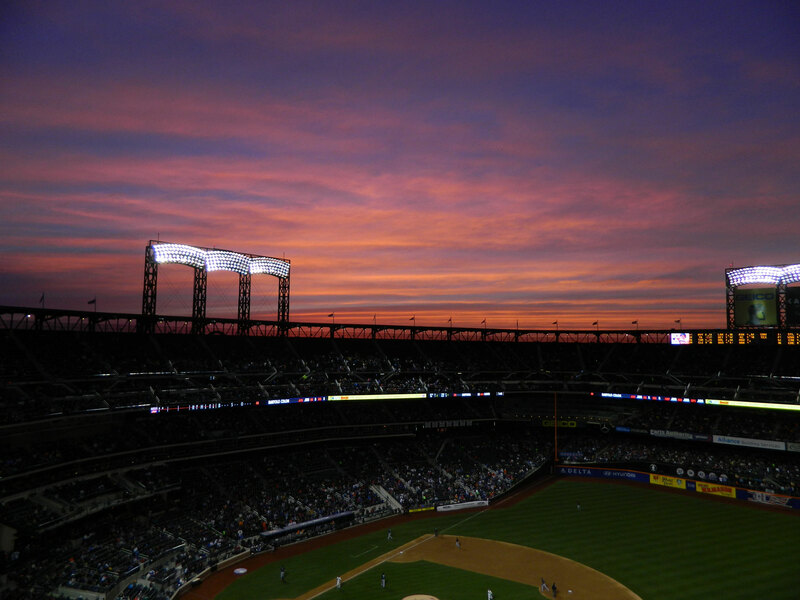 I went to the Mets’ home opener last week…and I still haven’t gotten around to writing about that either. Part of that is knowing that there are so many better bloggers who write about the Mets that you could be reading…part of it is often not having time to stop & reflect until the news cycle has already moved on to the next thing. And despite good intentions, I realize that is not going to change. So thank you to those of you who’ve stuck with me over the years. I’ve made a few real life friends as a result of this blog, as well as a number of online ones. But even if we’ve never talked, I appreciate that you took the time to read whatever I had to say. RandomBaseballStuff.com will remain online though the end of the year, at least…and maybe longer — it would make me sad to see this url turn into an SEO spam blog. But this is likely to be my last post here. If you want to keep in touch, you can find me on Facebook, on Instagram as @pwhphotos, and on Twitter at @MetsFanPaul. We’re one month into the Major League Baseball season, and the New York Mets have a 16-14 record and are just a game out of first place in the National League East. Only the most wildly optimistic fans expected the Mets to be competitive this year, but so far they are. Will it last? Probably not, but let’s enjoy it while we can. The early success has been based on great starting pitching, just enough hitting and a bullpen that hasn’t blown up too often even though the Mets are already on their third closer of the season. That doesn’t seem sustainable over the long haul, but stranger things have happened. I’ve made it to three games at Citi Field so far, and the Mets have a 1-2 record in them. I’m planning to go to one more, so maybe they can get back to .500 when I’m watching. I can’t say I’m thrilled about the team’s latest marketing campaign that seems to suggest that only “true New Yorkers” can be real Mets fans, though. I’ve also been to a couple of Trenton Thunder games. The New York Yankees’ Double-A farm team looks like it could be good again this year – they are off to a 19-11 start. The Yankees’ two top prospects — catcher Gary Sanchez and outfielder Mason Williams — are both in Trenton to start the year. I’ve been impressed with Sanchez’s bat, but then again, I remember Jesus Montero in Double-A and how his major league career has turned out. 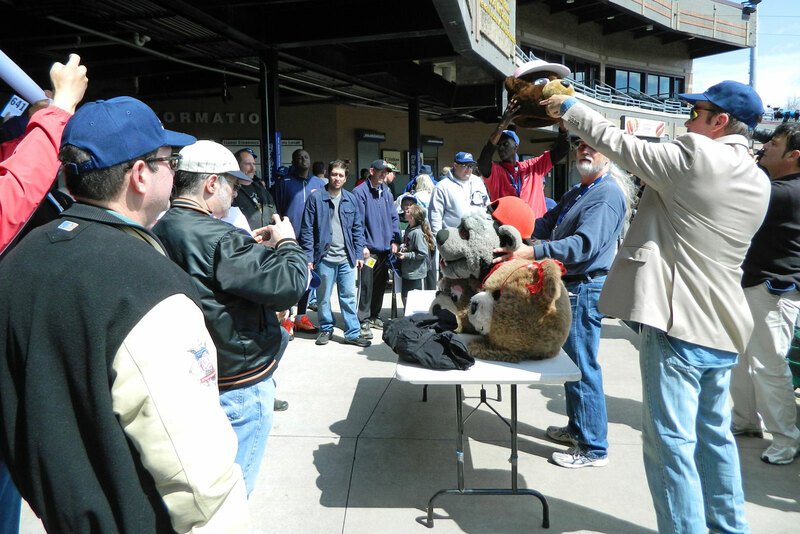 One place I won’t be going to watch baseball anymore is Bears & Eagles Riverfront Stadium in Newark. I spent a couple of hours at the Newark Bears’ liquidation auction last month, and came home with a 2012-2013 home jersey last issued to Mike Gedman for $12.31. I will cherish the memories of good times I had at that ballpark and the friends I have made their over the years, but all good things come to an end. I’m not quite ready to bring this blog to an end, though I will be surprised if I have many readers left at this point. I am writing about the Mets at HotStoveMLB.com, so you can read what I have to say about on-field issues there. I will still write about baseball cards and collectibles here, and while finances are severely limiting my ability to add to my collection, I do have a couple of cool things that I want to show you over the next few days. I should have a review of Out of the Park Baseball 15 posted here in the near future. You can find me on Twitter, Instagram and Flickr, which will all probably be updated more frequently than this blog. What’s the biggest surprise of the 2014 baseball season? What’s the coolest minor league promotion you’ve seen this year? What’s your favorite baseball card of 2014 (so far)? You may recall that I was considering shutting down RandomBaseballStuff.com this month. I want to thank everyone who offered words of encouragement – I’ve decided to keep my blog online for another year. I probably won’t be writing something every day like I have so far in December, but I’m not ready to walk away from a site I’ve been running for the past six years. The next two weeks are probably the swan song for this blog. The domain renewal is coming up, and I don’t really feel the same enthusiasm for baseball that I did when I began. I could still change my mind, but I’m having a hard time imagining what I might find to say about the 2014 Mets that anyone would want to read and other commitments will keep me from going to more than a handful of minor league games next season. I do want to thank everyone who stops by to read Random Baseball Stuff, and I appreciate the friends I’ve made because of this blog. With that out of the way, let’s take a look at our Mets Baseball Card of the Week. I know Bud Harrelson as a coach and manager, first of the New York Mets and later of the independent Atlantic League’s Long Island Ducks. For me, regular baseball cards from his playing days are a glimpse into the past. Looking at this baseball card might as well be stepping into a time machine. Depending on condition, you could expect to pay between 50 cents and $1 for your own copy of this card.